Standard. That's how Dell describes its Latitude E5xxx series. 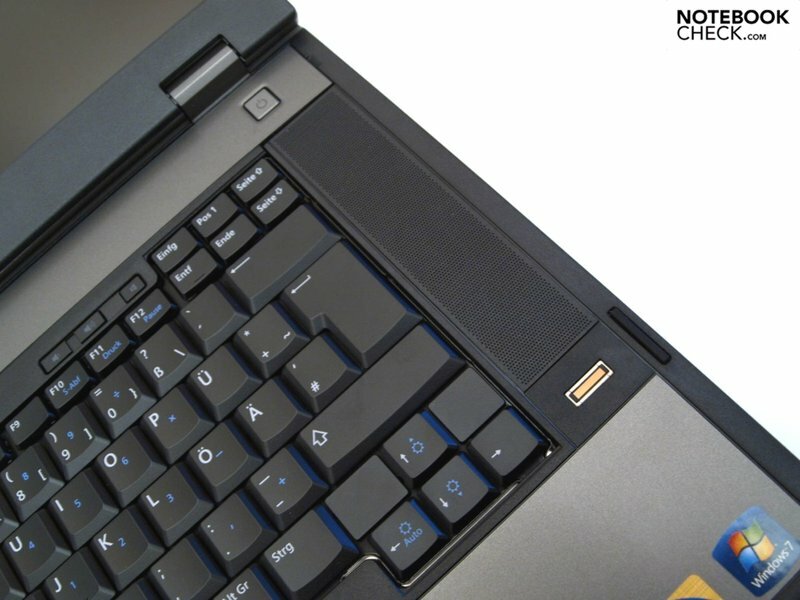 Listed here are solide, fully-fledged business laptops which, among other things, are distinguished from the higher-end and costlier E6xxx series by their plastic case. According to the manufacturer, the Latitude family is said to offer "first-class performance, durability and design with IT-friendly management solutions" for medium-sized to large businesses. Along with the smaller Latitude 13, our two E5x10 testers are implemented within the "standard" category. 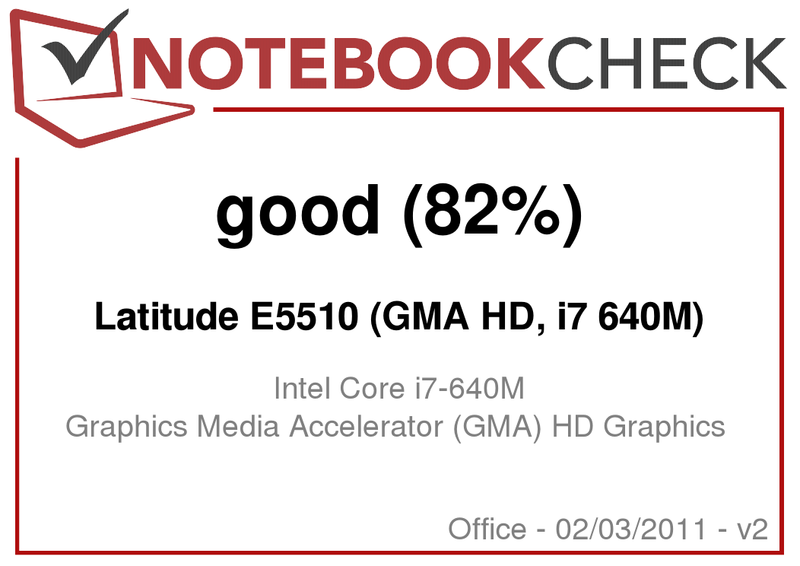 In addition to the two, somewhat higher-end and so-called "mainstream" E6410 and E6510 notebooks, the Latitude family also comprises ultra-mobile small devices measuring between 10.1 and 13.3 inches. The buyer can get their foot in the door with the E5510 models starting at 599.- Euros excluding VAT and shipping. But with this 15-incher one only gets a Core i3 CPU, a mere two gigabytes of memory and an HD-ready display (1366x768 pixel resolution). By contrast, our tester offers a dual-core Core i7 640M processor from the Arrandale line, four gigabytes of main memory and a display with 1600x900 pixel resolution. Note: Sections that depend heavily on the built-in hardware, performance, emissions and battery life are not necessarily applicable to other models. Word is at the moment that the successor of the latest Latitudes are soon to be released with a Sandy Bridge basis. Unfortunately, a lack of relevant support from Dell made it impossible for us to put the newest Latitude series under the microscope any sooner. But we will try to arrange a review of any upcoming new models as soon as possible. As we mentioned once already, the Latitude E5xxx series uses plastic for the case surfaces. Although this generally makes a good and high-quality impression, the case has to take a back seat when compared to the aluminum chassis of the E6xxx Serie. 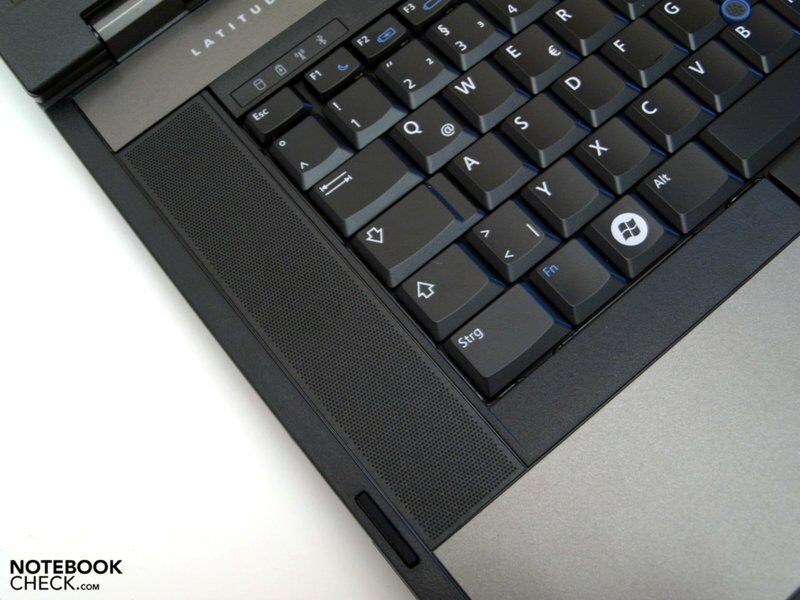 With its black and gray color scheme, the laptop does in any case seem elegant and lives up to its business orientation. The base unit still distinguishes itself with excellent torsional stiffness. But in testing, its stability under pressure was less impressive in some areas. 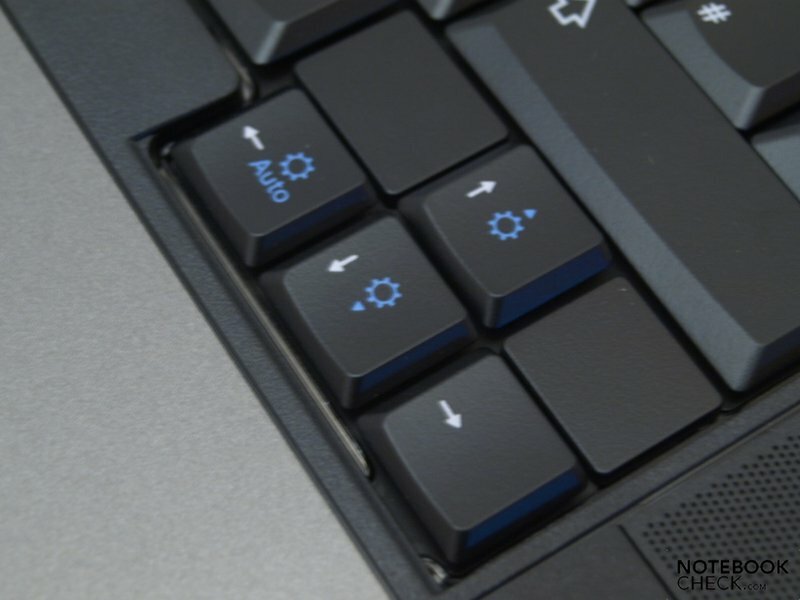 While the base plate resisted selective pressure quite well, the upper side of the base unit gives quite a bit, particularly in the right area of the keyboard, above the optical driver and along the molding above the keyboard. The display lid offers adequate resistance to pressure and twisting forces. The upper display frame has some play around the display screen and therefore also dents with light pressure, which also induces a noticeable clicking noise. The sturdy hinges allow for single-handed adjustment of the opening angles, whereby only a minimal degree of wobbling is noticeable. Thanks to the large maximum opening angle of around 180 degree, one wouldn’t expect any limitations. Fortunately, the laptop offers a double-hook lock for transport security. This can be easily unlocked with the slide-opener on the display frame. 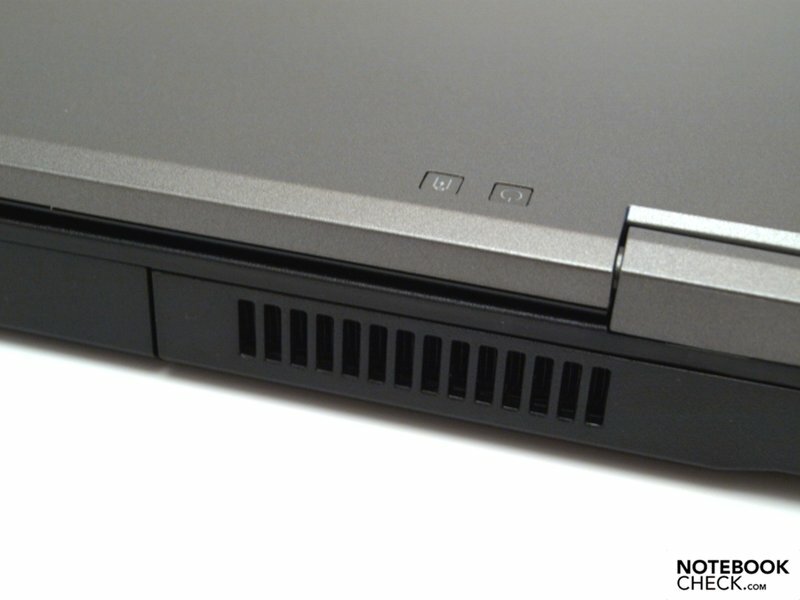 As it belongs on most business devices, both of the E5x10 laptops in the Latitude family offer a docking port on the underside of the base unit. 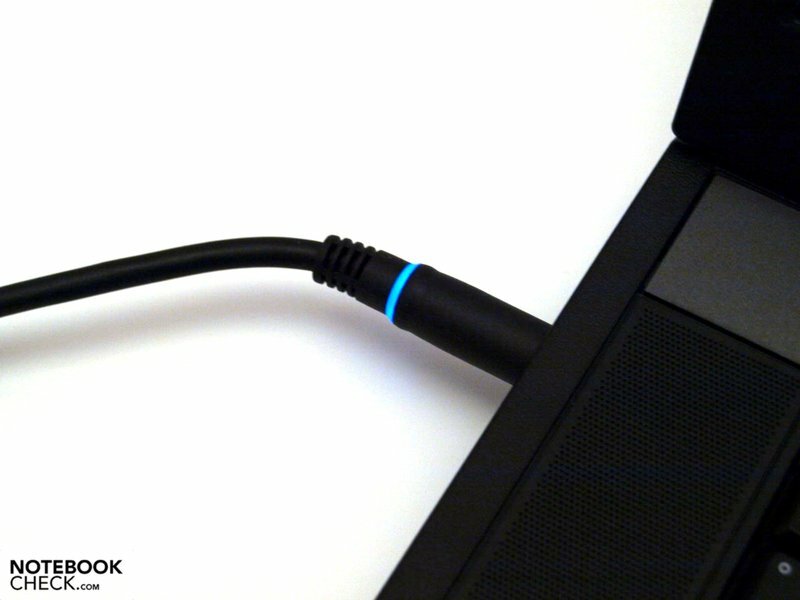 This makes it easier to connect the computer into an existing working space. 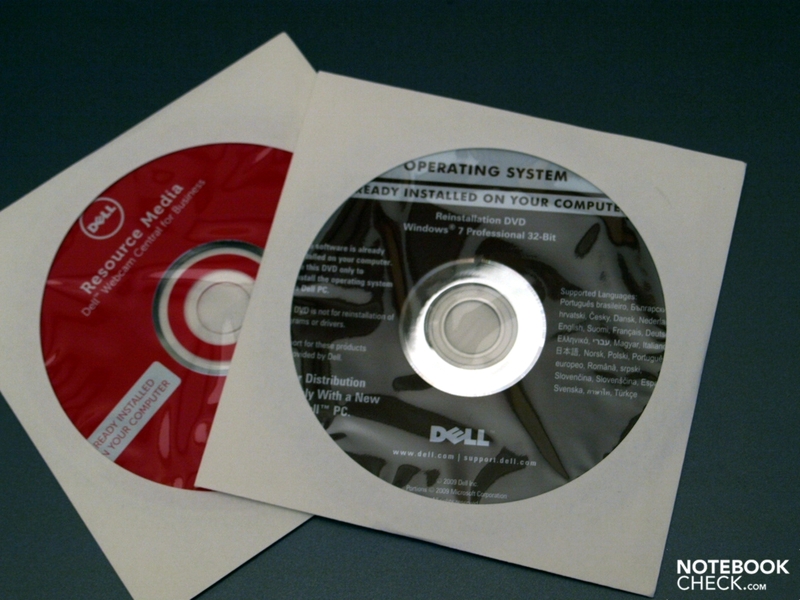 Dell’s online-shop has several variations to choose from. 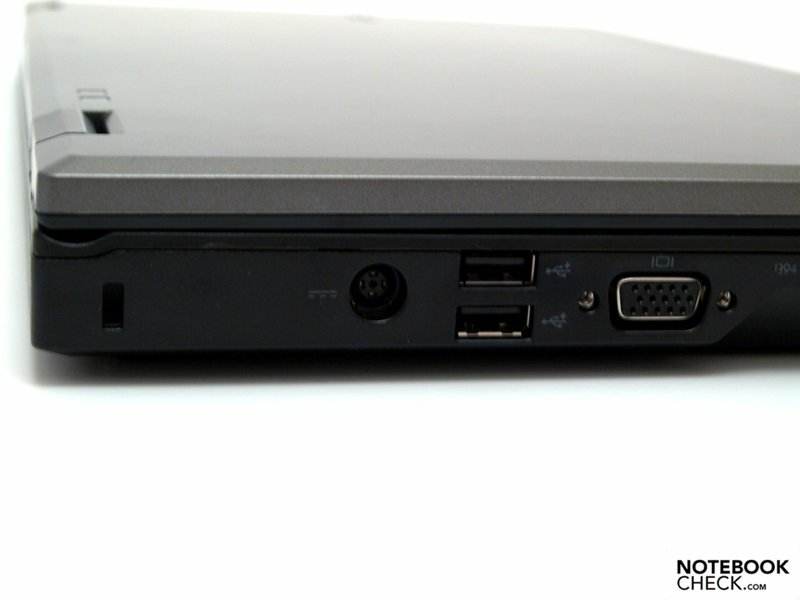 The compatible Kensington Notebook Universal Dock, priced at around 140 Eros (excl. VAT and delivery) , expands the range of interfaces somewhat with a DVI connection. 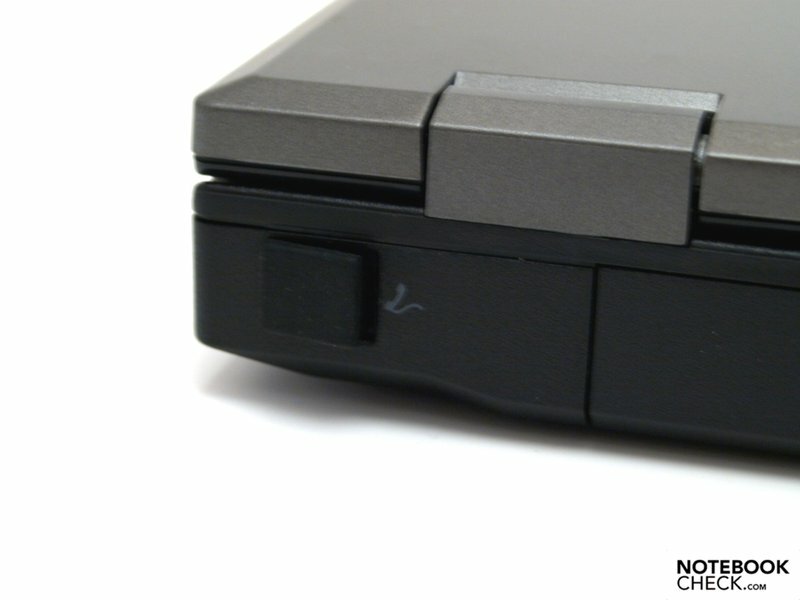 A rarity is found directly on the E5510’s case, namely a serial port out back on the right side. Moving forward there are two USB-2.0 ports and a RJ-45 jack. Finally, the optical driver is housed in the front area. Opposite to that on the left side, two additional USB-2.0 ports extend the total number of USB-interfaces to four. 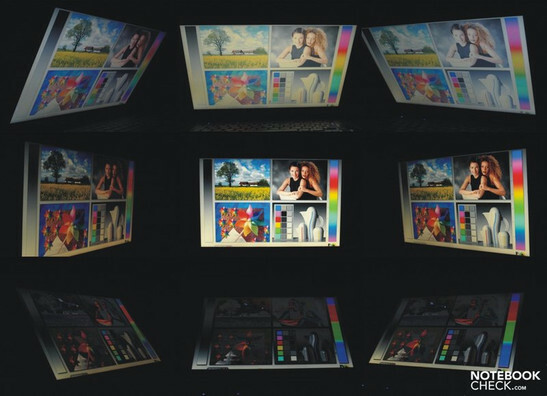 Image data can be analogously transferred via VGA onto an external display. 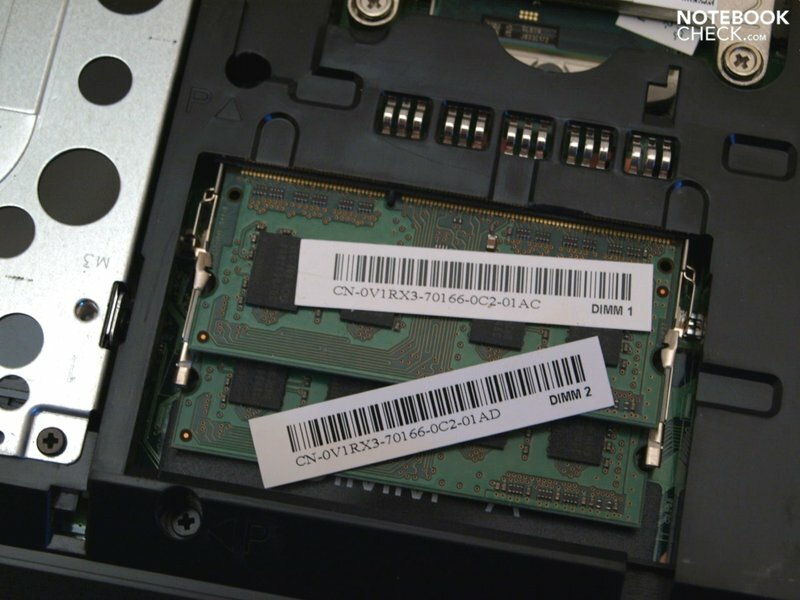 The FireWire interface (IEEE 1394) allows for rapid transfer rates when connecting digital cameras as well as with external mass memories. Also on board are the normal microphone and headset audio-interfaces. 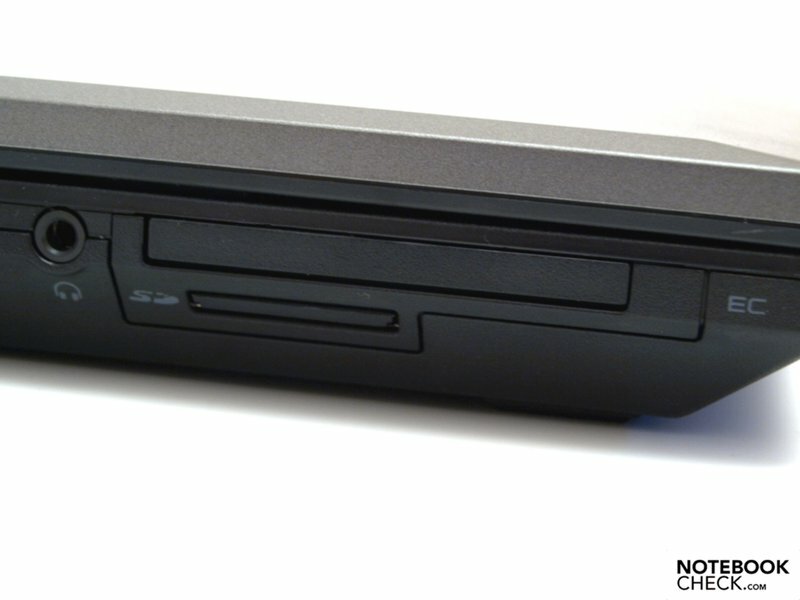 The integrated 3-in-1 card reader only supports a few formats, namely MMC, SD, and memory stick. If the range of functions is not enough for the user, the E5510 offers the option of expanding via the ExpressCard/54 slot. One can generally be pleased with the positioning of the individual interfaces. 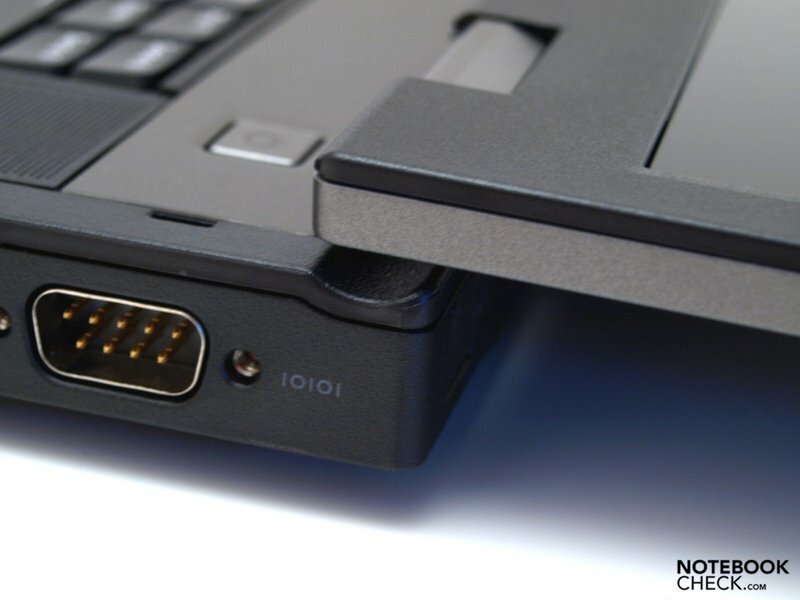 But due to the tight arrangement of USB-ports to each other and to the neighboring interfaces, one should nevertheless make sure to use thin USB-connectors. Assuming the appropriate infrastructure is available, the Broadcom NetXtreme 57xx gigabyte controller (10MBit) and the Intel Centrino Ultimate-N 6300 AGN (agn) WLAN-module offer relevant connection possibilities via Ethernet or via WiFi-Hotspot. 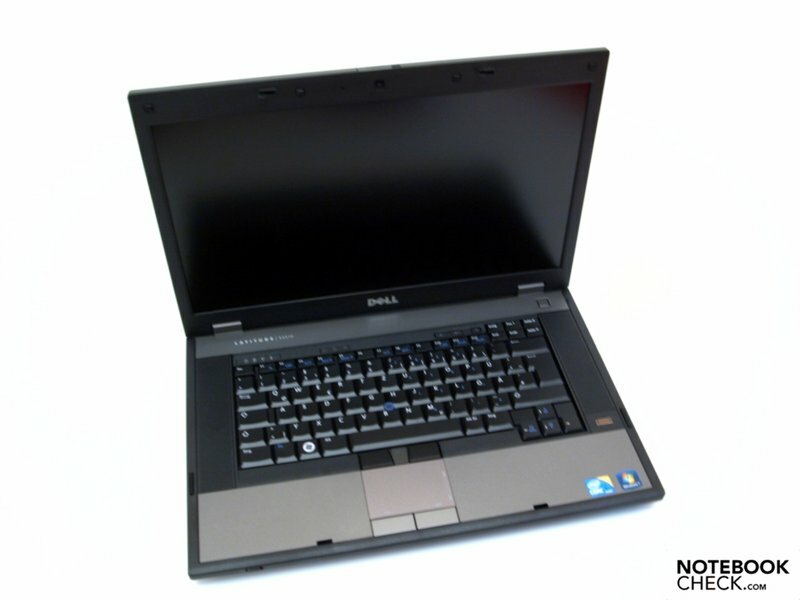 As an option for WLAN, the user can choose between a Dell Wireless 1520 or an Intel Pro Wireless 6200. 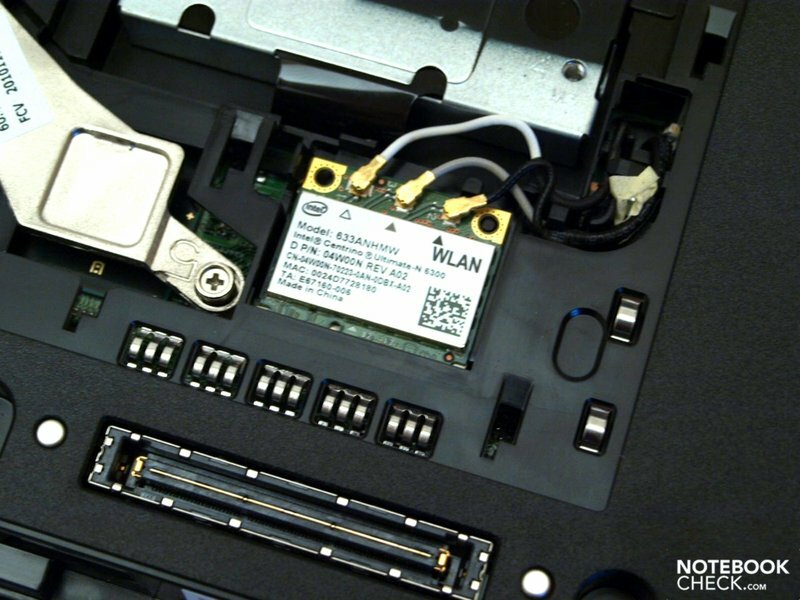 Dell also thought to add a Bluetooth 3.0 and implemented this with a Wireless 375 module with AMP Bluetooth. Out back are also provisions for an analogue 56K modem. Our tester offers a fingerprint reader. As an option, the device can also be had with a SmartCard reader. In addition to that there is also a Trusted Platform Module 1.2 as well as an encrypted harddrive available as an option. Supported network security standards: WPA, WPA2, VPN, CCX4.0. In addition to the necessary accessories like battery, power pack and a few information leaflets, one fortunately also finds a Recovery DVD in the carton. The basic warranty covers 12 months. The buyer can additionally choose between various at-cost options. For example, one can factor in an additional 134 Euros total for the 3-year ProSupport and on-site, next-workday-service. Although the manufacturer went without a separate numeric keypad, they did invest in a straight-forward and spacious layout. The typing feel can be described as surprisingly soft, with characteristically rather vague pressure points. Depending on individual preferences, one could describe the keyboard as anything from pleasant to one which needs a good deal of getting used to. In any event, the noise levels when typing is alright, even when the user has a somewhat harder stroke. 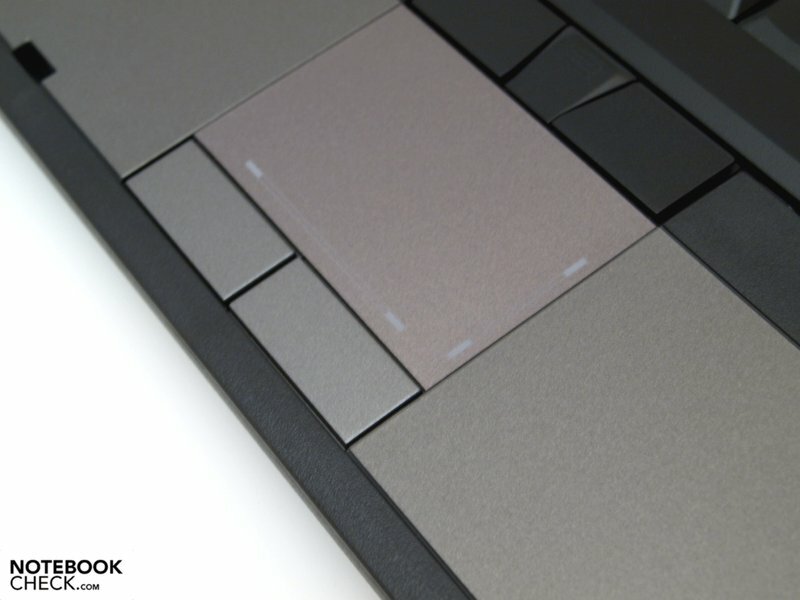 Although the touchpad is embedded almost completely level in the palm rests, it still features a noticeable edge molding. 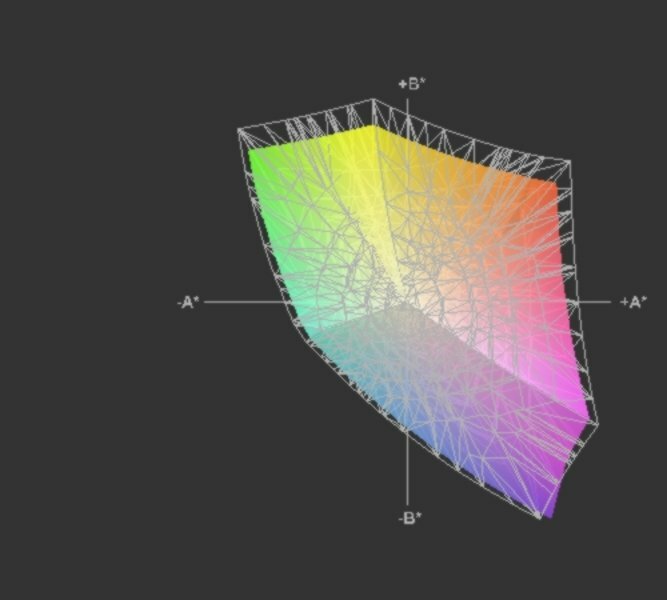 The mouse cursor can be precisely controlled on its slightly roughened surfaces. 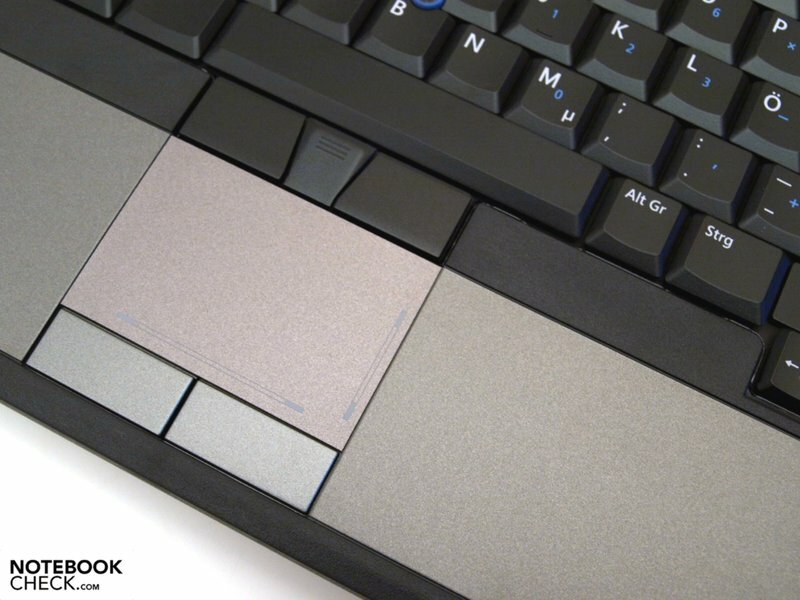 Furthermore, thanks to their stroke distance (which is still shorter than by some previous devices), the touchpad keys can be easily controlled. 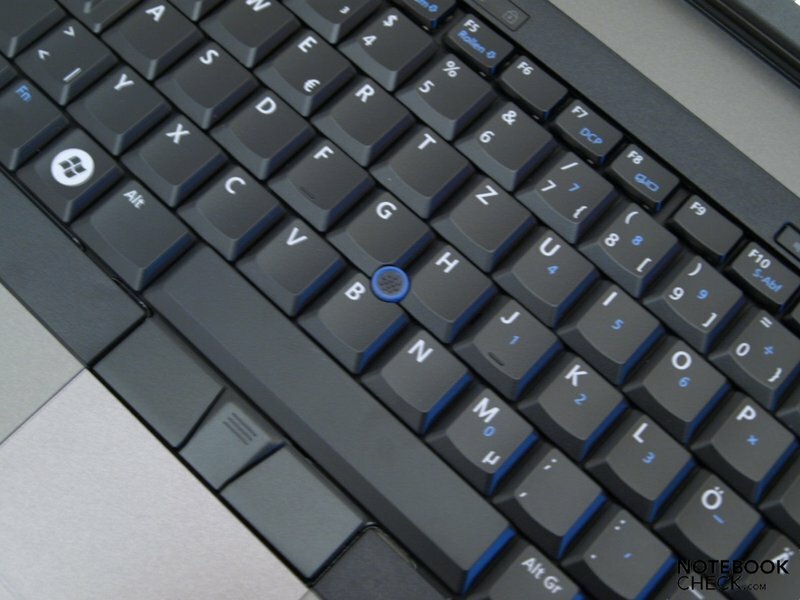 Alternatively, the user can also navigate using the trackpoint. Even though the response probably takes a little getting used to, the cursor can be well controlled after some time. There‘s no faulting the corresponding slanted buttons. 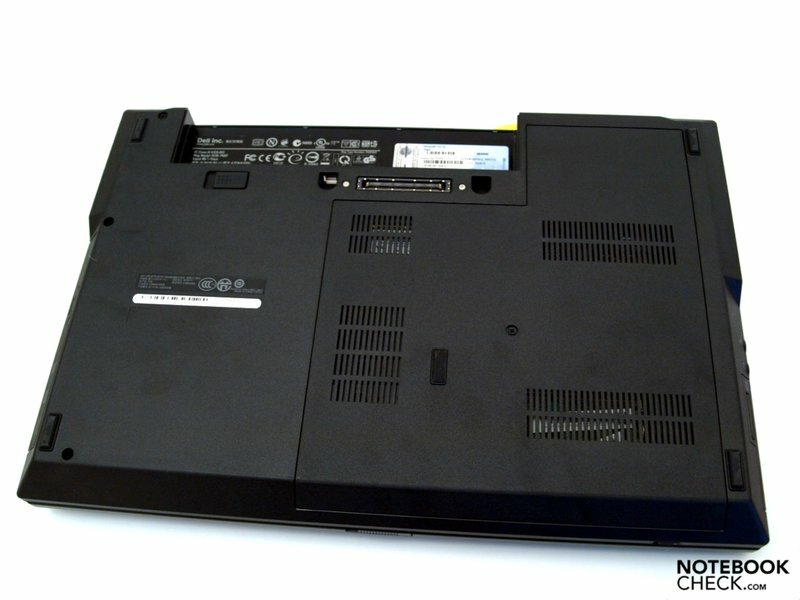 Depending on the potential customer’s individual demands, Dell has two display variants on offer for the E5510. 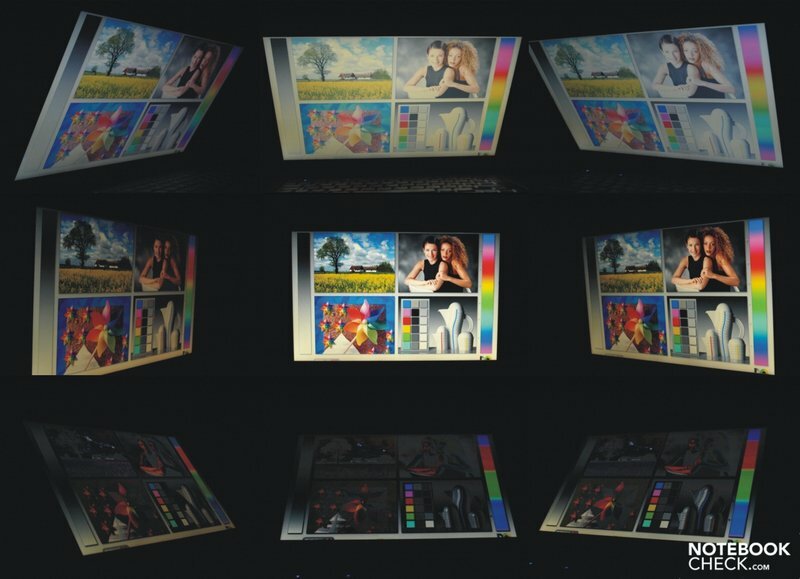 The 15” Latitude E5510 uses a wide-screen format and offers an LED-display with either 1366x768 pixel - or 1600x900 pixel resolution. In the end, an overview of the display depends on which variant one goes for. Our E5510 tester has the top-level equipment with its HD+ display. Both display versions are of course given an anti-glare finish to match their intended work spaces. As the ICC comparison graphics show, the E5510 offers an average color space. AdobeRGB1998 isn’t covered by a long shot, and it doesn’t completely manage sRGB either. By comparison, the Envy 14 from HP (Radiance Display) for instance does quite a bit better. Results from our brightness measurements show that the tester scores points with a good maximum brightness of 261 cd / m² and a good average value of 237.1 cd / m². 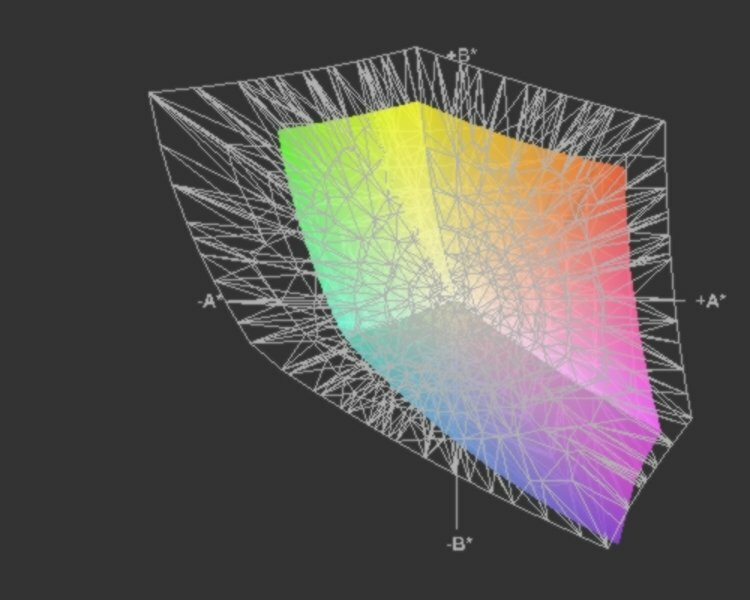 Unforutnatly, the brightness falls off in the upper-mid quadrant to a relatively low 200 cd / m² which resulted in a below-average illumination of only 77%. The difference, however, is not noticeable to the naked eye. The E5510 impresses with a low level of black at 0.53 cd / m² and in turn, also with a relatively high contrast value of: 462:1. Black therefore appears dark and the colors strong. Fonts are clear and easily legible. Use outdoors reveals the display’s strengths with its anti-glare surface and good level of brightness. The picture remains easy to read in the shade or in overcast winter weather conditions. 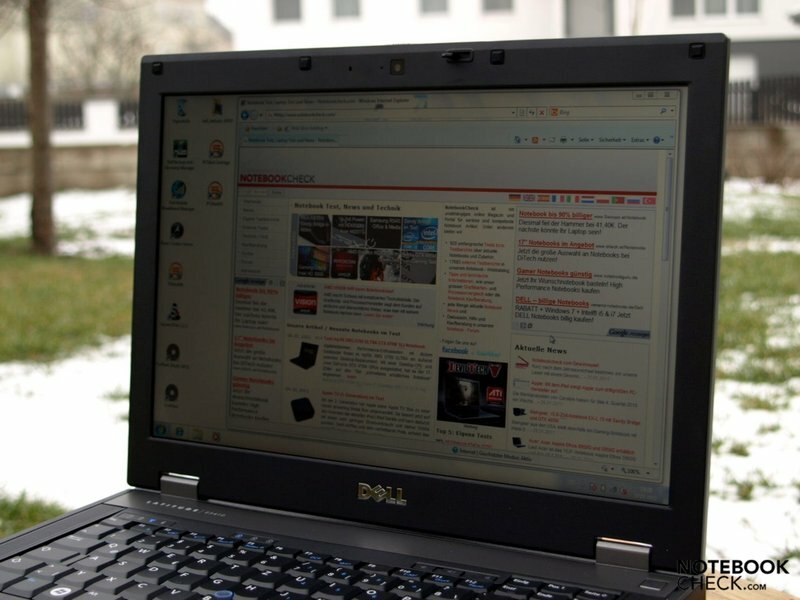 In terms of its viewing angles, the E5510 falls in line with a host of office-notebooks. It offers a generous horizontal working area. Vertically, even small changes from the ideal perpendicular viewing angle lead to a loss of contrasts as well as overexposure or dimming. Here the stable area when viewed from below is somewhat greater than when viewed from above. 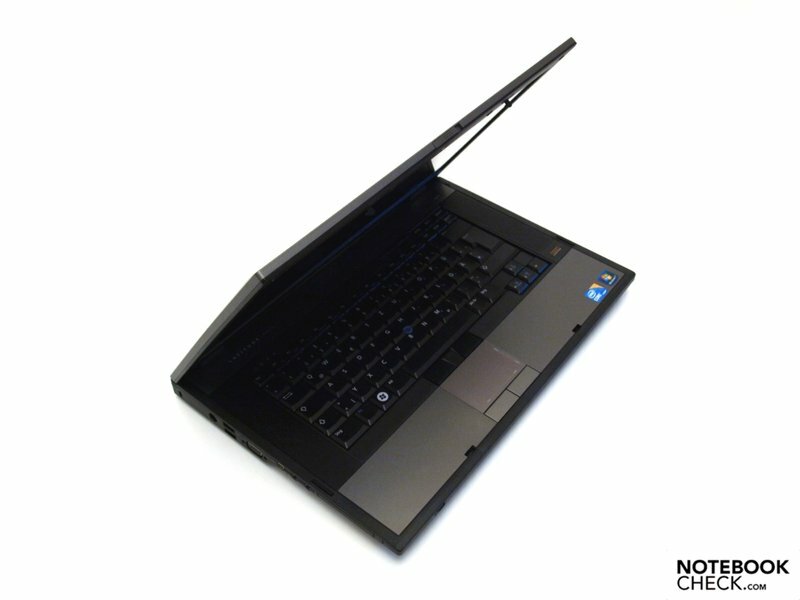 The Latitude E5510 is based on the HM55 chipset and uses a fast dual-core CPU from the Arrandale family with the Core i7 640M. This also supports all features of this family like VT-x, VT-d, Trusted Execution, AES and Idle States. 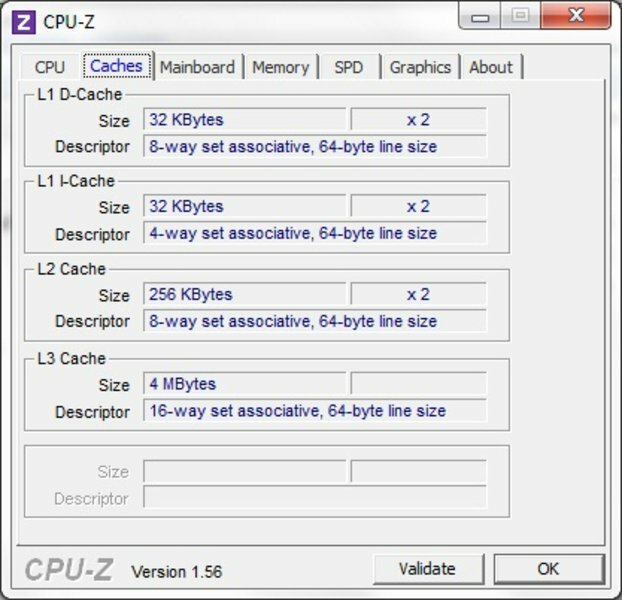 Its two cores can execute up to 4 threads thanks to Hyperthreading. Thanks to its Turbo-Boost technology, the processor can dynamically overclock individual cores depending on the demands and the cooling capacity. The processor is produced in the 32nm treatment and integrates the memory controller and the GMA HD graphics chip (both in 45 lithography). This platform supports a maximum of up to eight gigabytes of RAM. Our tester’s system has four gigabytes of RAM on board. 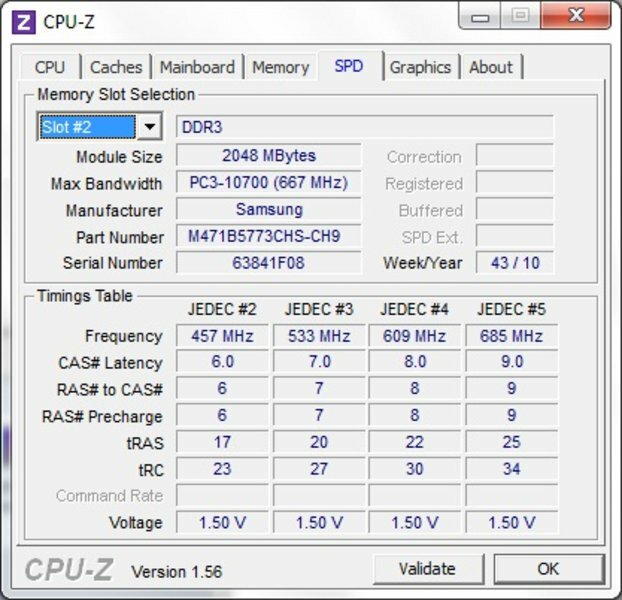 The available memory could not be used as efficiently with the pre-installed Windows 7 Professional 32-bit as it could with a 64-bit version. Thus msinfo32 shows a total real memory of 3.43 GB. If one considers a further memory upgrade, they should plan for this to involve an upgrade to a 64-bit operating system. 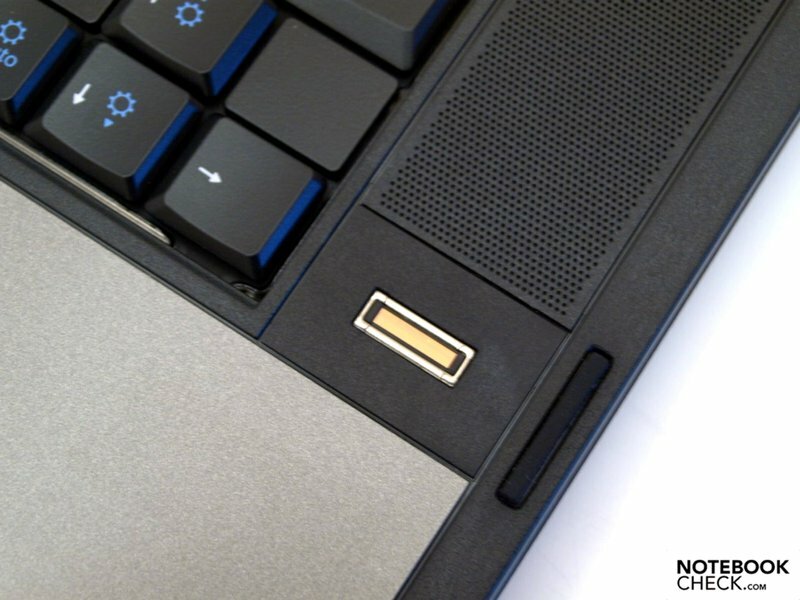 The main memory itself is easily accessible via the service flap on the underside of the laptop. 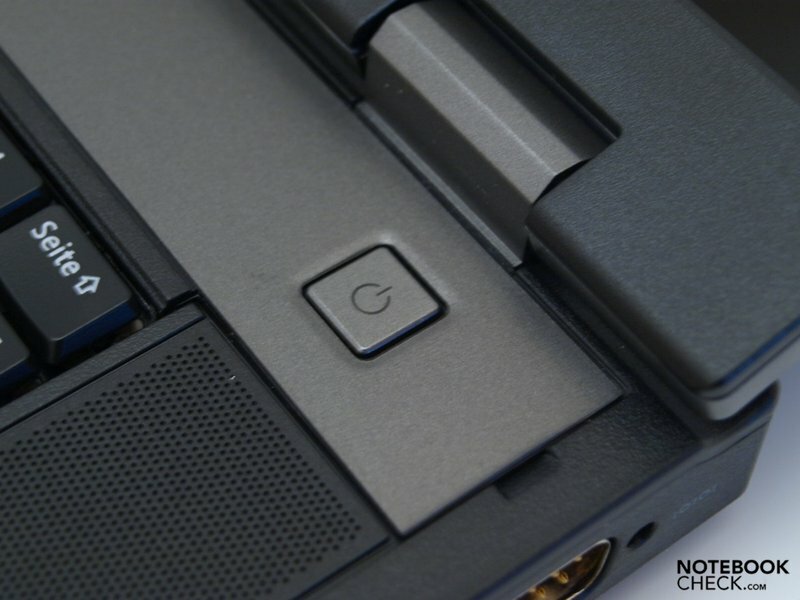 Since the laptop was designed for office duties, it has to make do with the GMA HD graphics chip integrated into the CPU. Its main function is not to offer strong 3D-performance, but rather it's meant to unburden the processor when decoding HD videos. Turning now to the application performance. 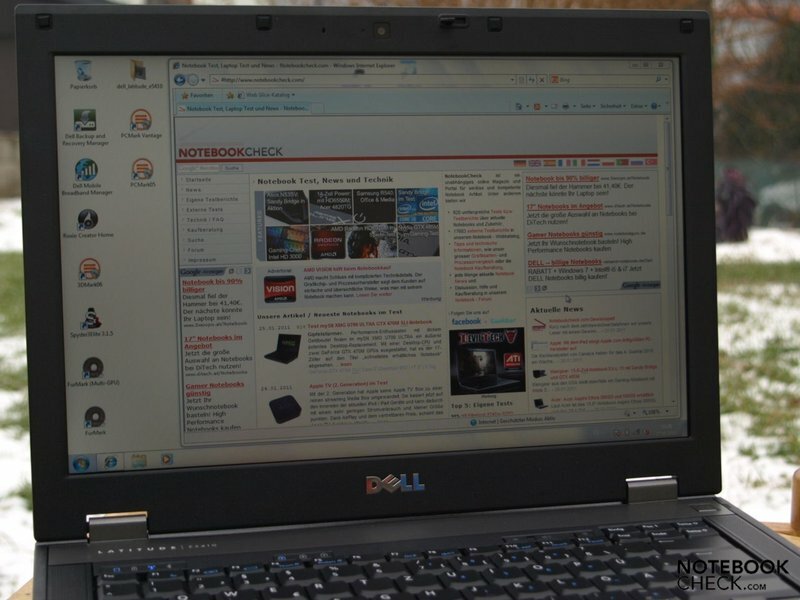 In the PCMarkVantage test, our tester achieved 6197 points and is on a level with office-laptops with similar equipment such as the Fujitsu Lifebook S760 or the Lenovo ThinkPad X201. As the PCMarkVantage test evaluates the overall application performance and places less emphasis on high 3D performance, out tester can also hang with a caliber of machines like the Dell XPS 17 (840QM, GeForce GT 445M, 6153 pts. ), and can even close in on gaming machines such as the MSI GX740-i7247LW7P (720QM, Mobility Radeon HD 5870, 6225 pts.) 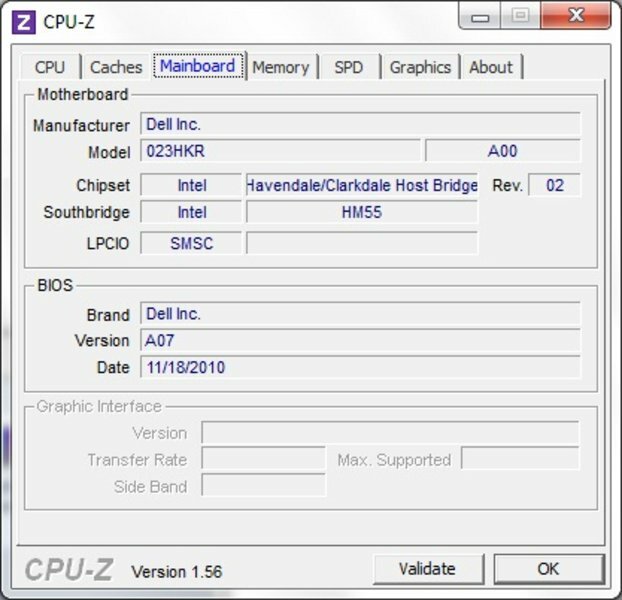 or the Asus G73JH-TZ014V (720QM, Mobility Radeon HD 5870, 6392 pts.). 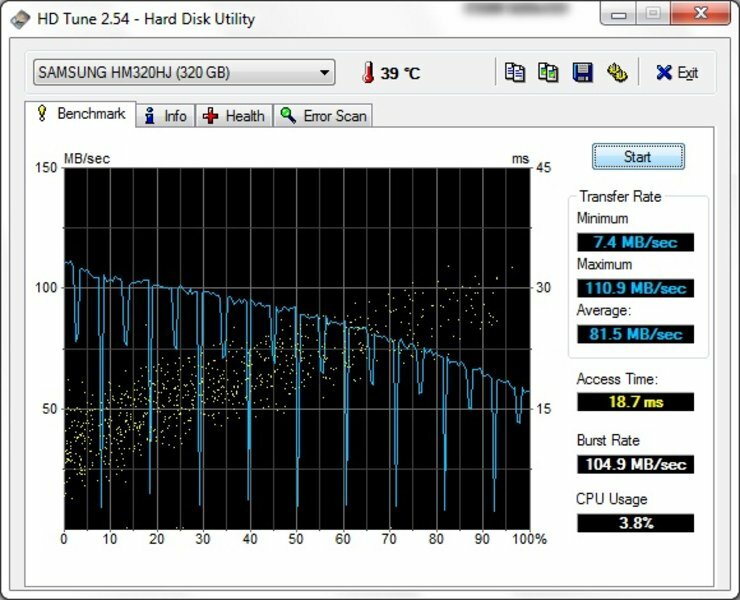 This is mainly thanks to its fast 7200 rpm harddrive. The laptop’s focus on typical Office and Internet applications becomes apparent at least by the time we get to 3DMark06 and the Cinebench Shading Test. 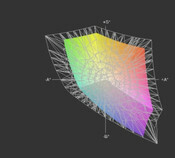 Modern 3D-intesensive games are at best possible with lower resolutions and graphic details. 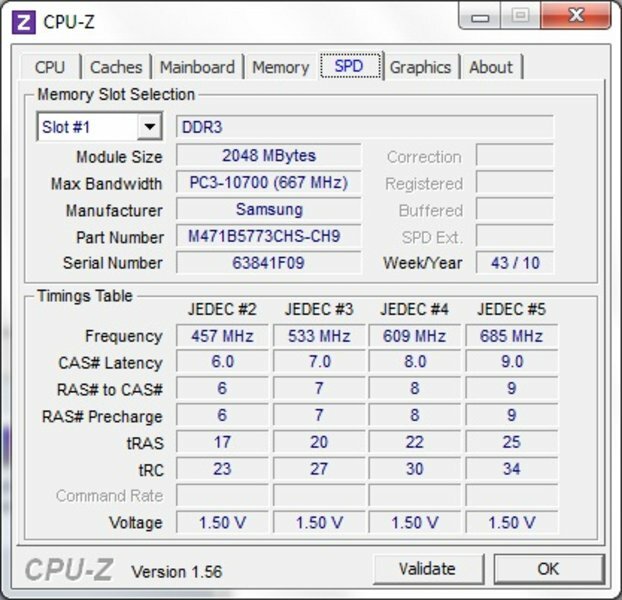 1706 points in the 3DMark06 and 2124 points in the Cinebench Shading test are typical for the graphic card in place. 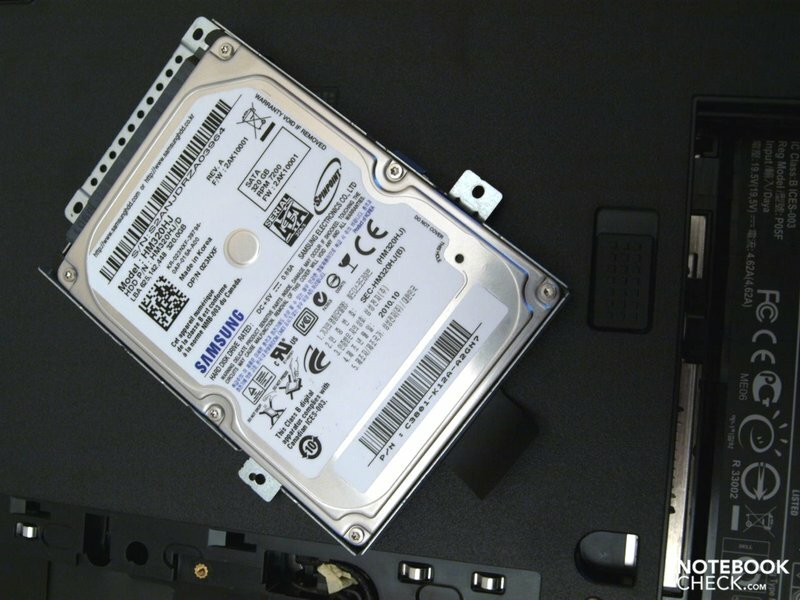 For its mass memory, Dell gave the E5510 a conventional harddrive with 320 gigabytes of gross capacity. The built-in Samsung HM320HJ works with a rotations speed of 7200 rpm and offers corresponding values. 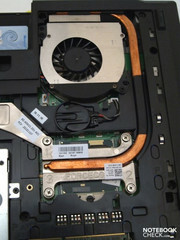 Part of the harddrive is occupied by a veiled recovery partition. For the optical driver, the user gets a TSSTcorp DVD+RW TS-L633C. Under light load, the volume varies between a minimum of 30.3 dB(A) and a maximum of 36.2 dB(A). With that one notices a regular, and annoying rise and fall of the noise levels. 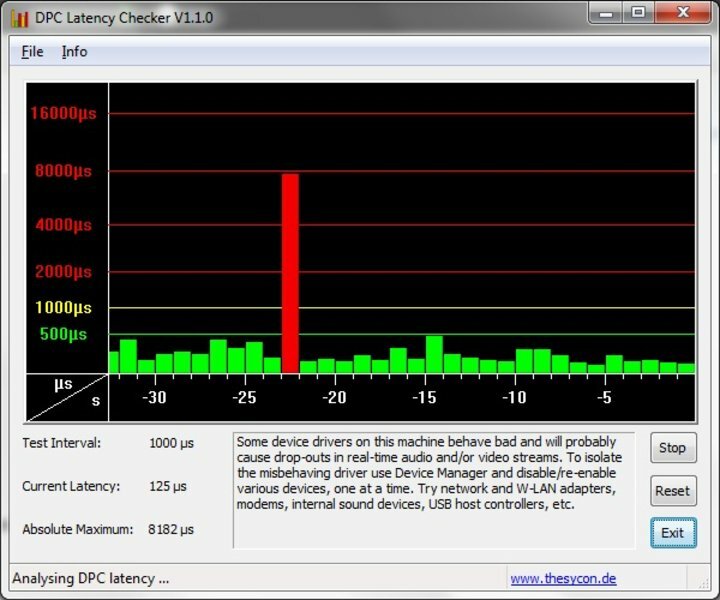 The vibration of the fast 7200 rpm harddrive is also clearly audible. This produced up to 37.8 dB(A) when accessing data. The noise level rises with increased load and reached up to 38.8 dB(A) on typical 3D-applications. 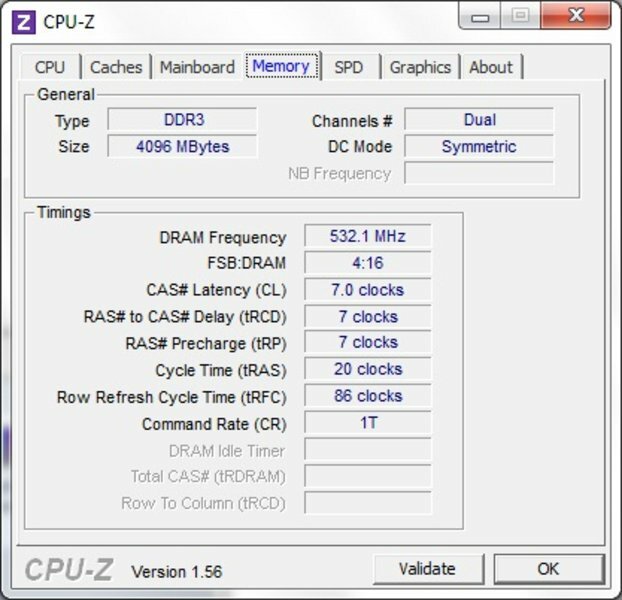 During the stresstest, wherein the CPU and graphics chip are used to 100% capacity for several hours, we finally measure a noisy 43.6 dB(A). However, this represents a scenario which would rarely come about in practice. Despite a very active fan, the underside of the case gets quite warm even under low load. There we tested more than 38 degrees Celsius at spots in this scenario. But the controls, keyboard, palm rests, and touchpad, remain pleasantly cool. As expected, the temperature rises further under load. We got the following maximum values during the stresstest over several hours: 47.5 degree Celsius around the heat pipe further-back left corner of the underside. Just over that we measured 41.8 degrees Celsius. The back-left area of the keyboard seems to be much warmer than the right. At least the temperatures of the palm rests and the touchpad stay within bounds, even in this scenario. 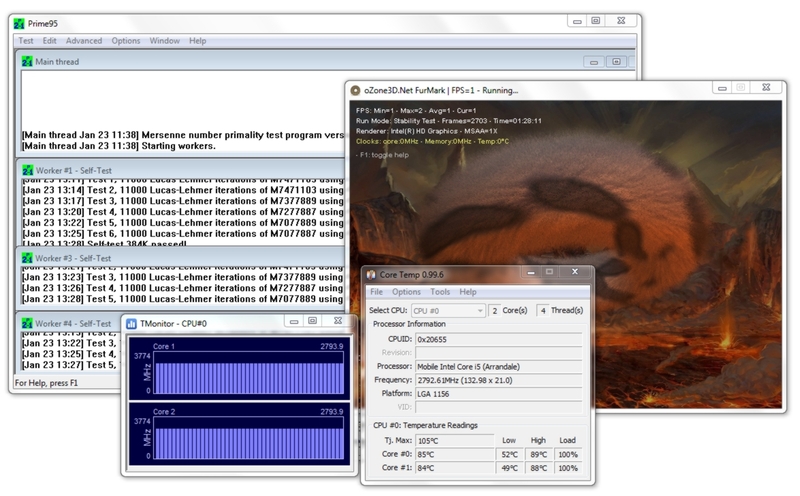 Both processing cores of the Core i7 640M Arrandale CPU heat up to a temperature of up to 85 degrees Celsius. Yet even despite this, we did not witness any throttling of the CPU due to overheating. 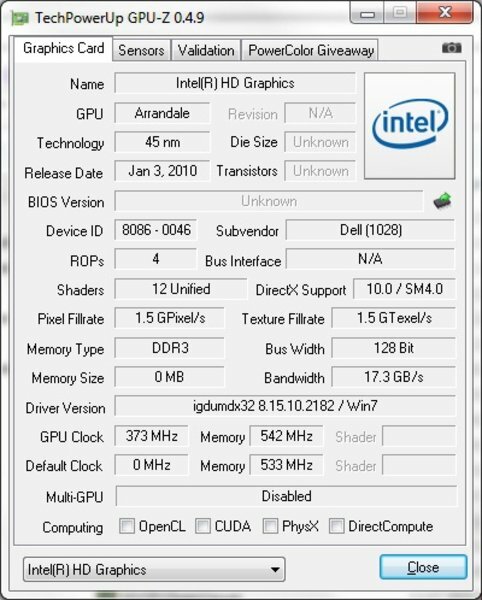 While the graphics performance on offer shows in and of itself that the E5510 was not developed for gaming, 3D-intensive games Already in 3D-instensive games, which considering the graphics performance available were clearly not the focus of the E5510’s development , both the noise levels as well as the temperature remain under these values. (±) The average temperature for the upper side under maximal load is 35.8 °C / 96 F, compared to the average of 29.4 °C / 85 F for the devices in the class Office. (±) The maximum temperature on the upper side is 41.8 °C / 107 F, compared to the average of 33.9 °C / 93 F, ranging from 21.2 to 62.5 °C for the class Office. (±) The palmrests and touchpad can get very hot to the touch with a maximum of 36.9 °C / 98.4 F.
(-) The average temperature of the palmrest area of similar devices was 28.2 °C / 82.8 F (-8.7 °C / -15.6 F). 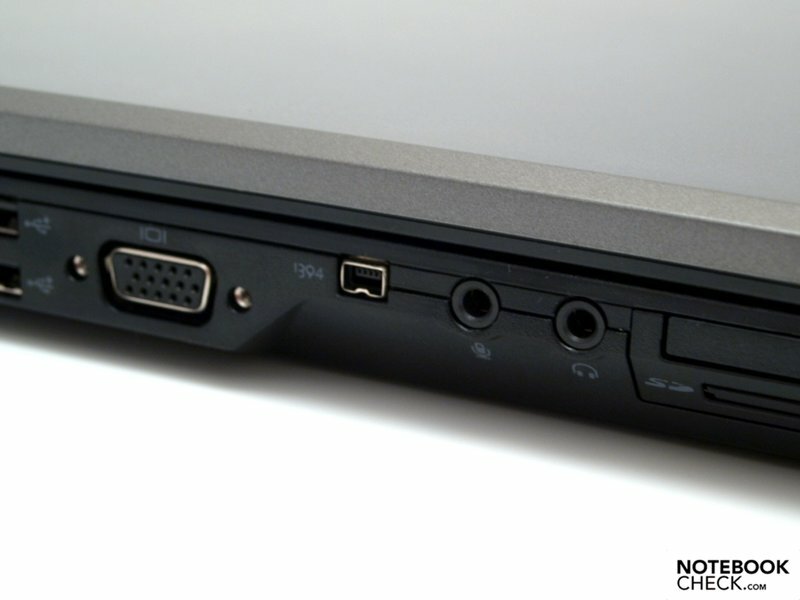 The sound quality of an office laptop doesn't weigh as much in the equation as it does for instance on multimedia- or even gaming computers. Both speakers have a very noticeable place to the left and right of the keyboard. Their maximum volume, at which the sound remains undistorted, is adequate for use indoors. The sound itself is clear, with balanced mid-ranges and highs, but - as expected - is somewhat lacking in base. In contrast to its E5410 colleague, which is at the same time under review, our E5510 has to make do with the smaller 6-cell battery with 56 watt hours of capacity. 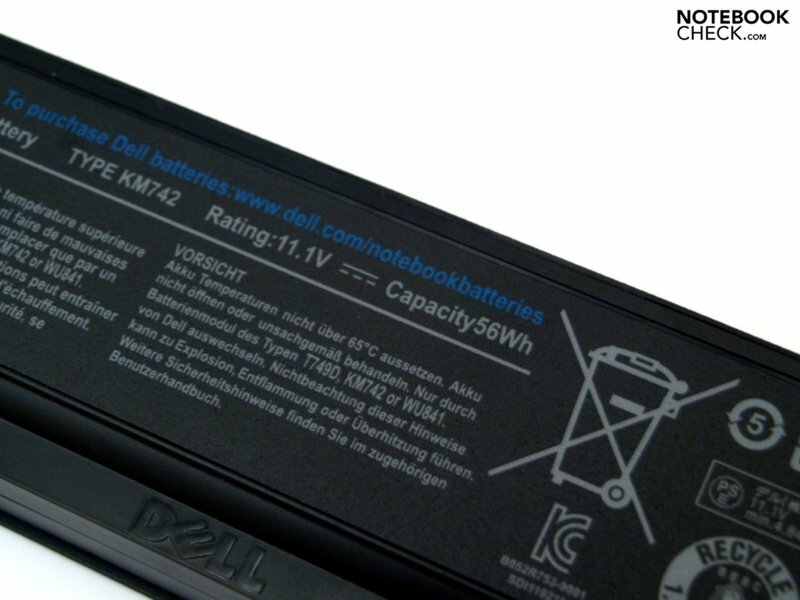 But Dell also offers two additional battery options. A 4-cell battery with 37 watt hours of capacity ensures a low transport weight and costs around 20 Euros less. The 9-cell battery employed in our E5410 tester on the other hand costs around 60 Euros more, and with 84 watt hours, it offers around one-and-a-half times the capacity. When the components are taxed a great deal, as is simulated in the BatteryEater Classic Test with high-performance profile and WiFi-modules activated, the battery runs flat after just over an hour of runtime. Under greatly limited conditions, meaning without the WiFi-modules, with minimum display brightness and on an energy-saving profile, texts can be read for a maximum of up to 6 hours. The BatteryEater Reader's Test showed us 361 minutes. With a good brightness level and the energy-savings profile, researching via WLAN comes to an end after almost four hours on battery power. With the 'balanced' profile and WiFi modules turned off, film-viewing pleasure is cut short after around two-and-a-half hours. 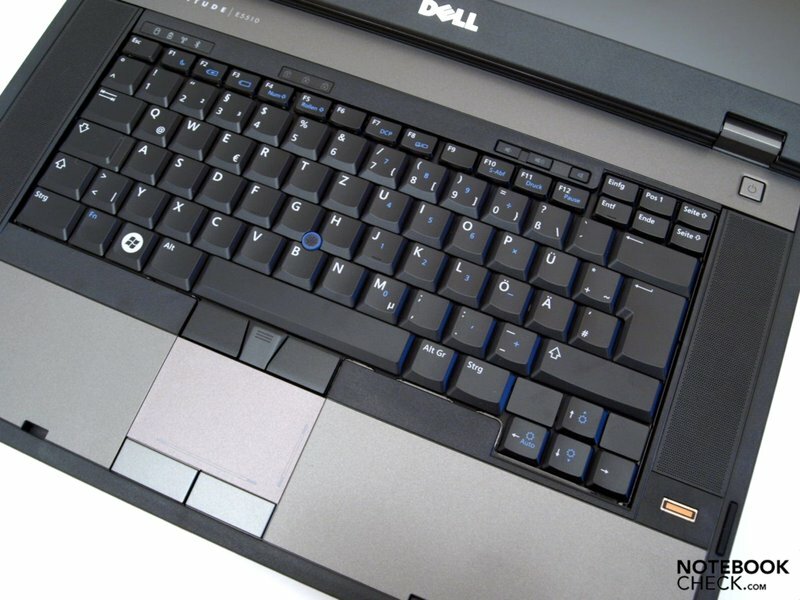 The Dell Latitude proves itself to be a well-designed and thought-out office laptop. With its matte display, good communication equipment and usable battery life, the user is well equipped for one- or the other mobiles jaunts. This can be extended by around 150% with the optional 9-cell battery. 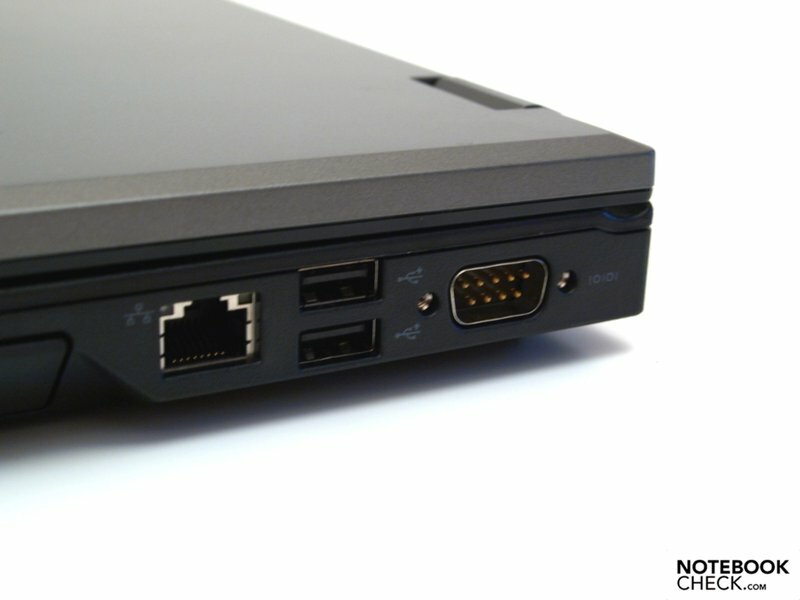 The docking port allows one to connect into the existing office space and also offers, among other things, a digital DVI port. While it's a shame that the device had to come out without fast eSATA or USB-3.0 interfaces, FireWire (IEEE 1394) is still on board. 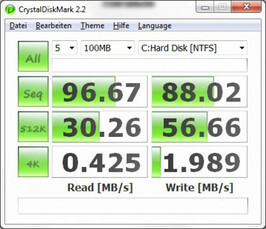 Thanks in large part to its 7200 rpm harddrive, the E5510 scores big with its good application performance. Less impressive are the limitations caused by the 32-Bit operating system, which in comparison to a 64-Bit variant can't make as efficient use of the four gigabytes of memory.The 3D-performance of GMA HD graphics chip integrated into the processor does in any event match the office-orientation of the laptop. In summation, we have determined the following; The E5510 was developed as a professional device for use with Office- and Internet applications. 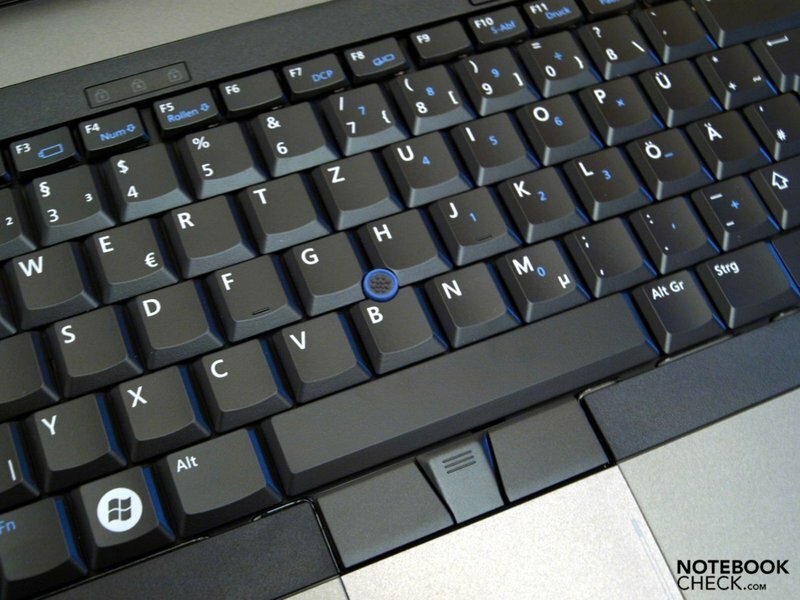 Those looking for a solid laptop with a neutral design can put it on their shortlist of options. That an expensive Core i7 processor was employed. Its i5 colleague would have been more than enough for most applications.